Meizu is a Chinese based consumer electronic company which was established in 2003. it is a well known brand for manufacturing music players and smartphones in China. It has its first product i.e. music player launched in 2007 and then it has started manufacturing the smartphones, by the year 2008 it has its new smartphone in the market. It has recently opened its hands towards the Indian smartphone market in 2015. 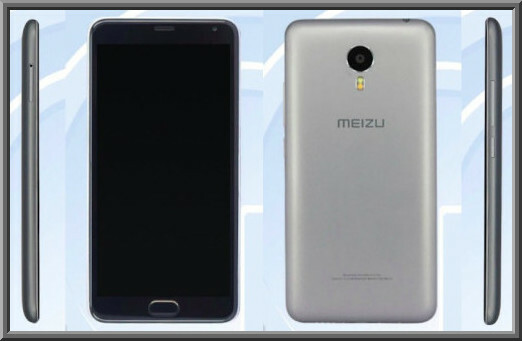 It has launched its new smartphone Meizu m3 note in the year 2016 and it has got all the exceptional specs and features in it. Here is all about the phone. Meizu m3 Note has got exceptional specifications at a great price, it comes with a 5.50 inch long IPS LCD capacitive touch screen display with a resolution of about 1080 x 1920 pixels and ~403 ppi pixel density. It may be built with a RAM up to 2 GB and has got 1 GHz octa core processor for rapid and multi processing with ease. It is featured with free internal memory space up to 16 GB for storing different applications on the device and it can be expanded up to 128 GB using a external microSD card. It is mechanized with a 13 MP primary camera with auto focus dual LED flash and it has 5 MP front camera to shoot selfies. It is built on Android 5.1 lollipop operating system. It is powered by a powerful battery 4100 mah for long life battery usage and it has got Wi-Fi, Bluetooth, Hotspot, Wi-Fi Direct, FM, 3G and 4G connectivity options. It is built with Proximity sensor, Accelerometer, Ambient light sensor, compass and Gyroscope sensors in it. Meizu m3 note with all the specs and features mentioned above it is available for 799 Yuan in China and its price in India will be available soon.